This “subtle balance” between democracy and stability has turned Kazakhstan into an increasingly sought-after mediator in conflict resolution. 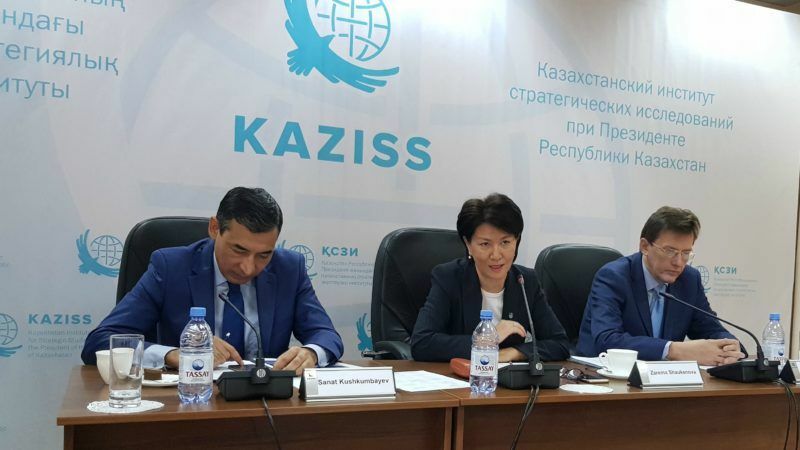 “Our external successes are largely based on our internal stability,” said Zurema Shaukenova, the director of KAZISS, a think tank, who met with a group of international journalists on Thursday (2 November). The country’s decision to close down the Semipalatinsk nuclear test site and abandon its Soviet-time nuclear arsenal have greatly contributed to enhancing the country’s international image, added Sanat Kushkumbayev, deputy director of KAZISS. Other reasons for the rising trust in Kazakhstan are its predictable foreign policy, the good relations it has with its neighbours and lack of hidden agenda, he said. 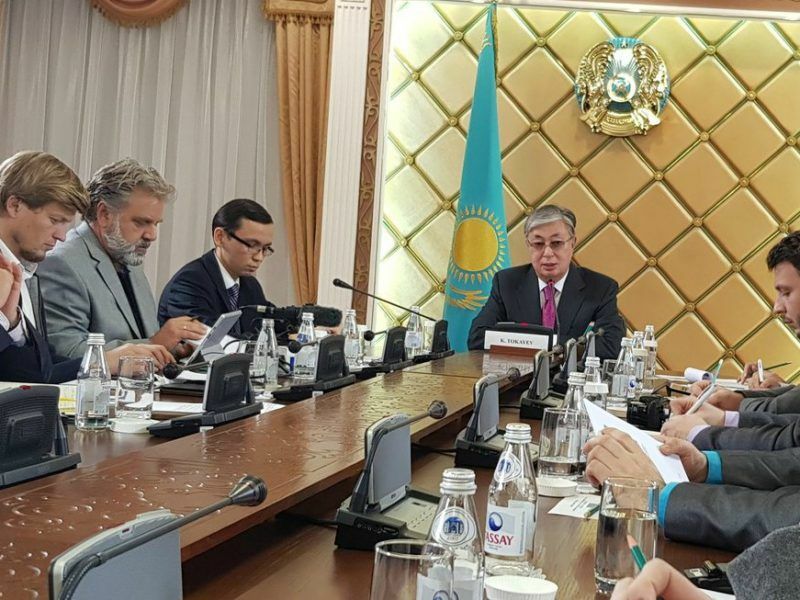 The country’s political stability in an uncertain environment was brought up also the day before when journalists met Chairman of the Senate of the Kazakh parliament Kassym Jomart Tokayev. Asked about concerns regarding the country’s fledgling democracy, human rights, press freedom and corruption, Tokayev appeared surprisingly straightforward. Tokayev, a veteran diplomat, said more than 10,000 civil servants have been tried for corruption over the last 15 years, making the fight against corruption a top priority for the country. “Corruption exists in all countries of the world, at different levels, and it also exists in Kazakhstan, we are not denying it. We are taking the matter very seriously and this is why the fight against corruption is part of the institutional reform in our country,” Tokayev said. Compared to “other countries” which he didn’t name, he said the fight against corruption in Kazakhstan was making quick progress. “This is not a temporary campaign, this is a systemic issue and an integral part of the modernisation of our country,” he said. He added that President Nursultan Nazarbayev, who is also the founder of post-Soviet Kazakhstan as a sovereign nation, was deeply committed to institutional reform, starting with judiciary reform and granting judges more freedom and autonomy. A draft law in this regard, authored by the president himself, will soon be presented to the Senate, Tokayev said. Countries of the former Soviet Union and its satellite states have inherited an authoritarian judiciary system in which judges have little independence. The reforms have been slow and painful across this geopolitical space. In Kazakhstan, national wealth has been better preserved than in most other ex-Soviet states and the living standards have steadily increased, which is confirmed by everyday Kazakhs, who often say their lives have never been better. Most of the people EURACTIV spoke to weren’t interested in politics and generally trusted their country’s leadership. “Kazakhstan has done a lot, we have political parties. Yes, we have the ruling party which dominates the parliament but the Senate is non-partisan. We have no parties here in the Senate, all of them are represented in the lower chamber, the Madjlis, over there, we have three political parties, they freely compete for elections of parliament,” the Senate chairman said. He added there are more than 4,000 NGOs active in Kazakhstan and there is freedom of the press. “I don’t think Kazakhstan should be regarded as a non-democratic country. 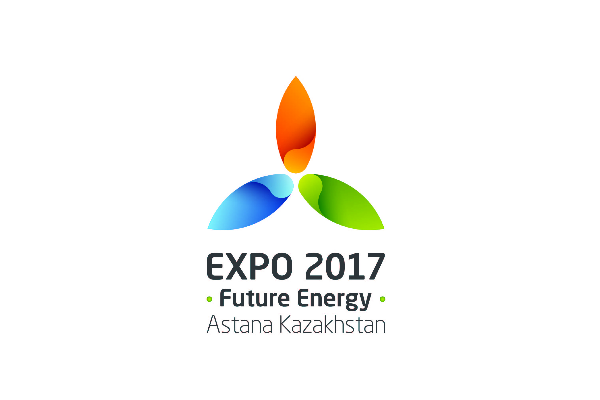 Kazakhstan should be regarded first of all as a young democracy, which wants to follow this mainstream, and which gained a lot of achievements in its democratic development. Democracy is a process, it’s not an ultimate goal, it’s a very hard process of self-development in which Kazakhstan has done a lot,” he concluded. 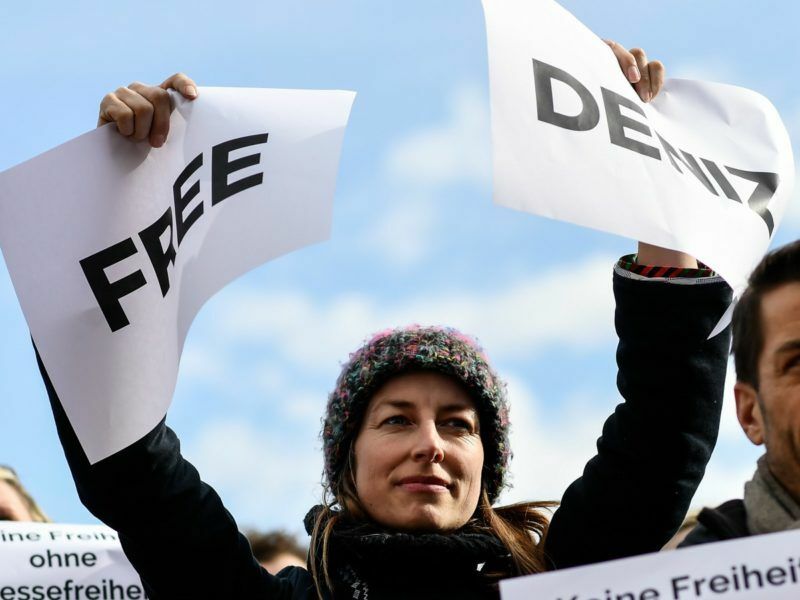 Journalists insisted on the media freedom issue, highlighting the fact that Kazakhstan ranks low in various press freedom indexes. “While being abroad I read newspapers, in Eastern Europe as well as in other states. I wouldn’t say we are somehow less in terms of freedom of the press,” said Tokayev. He added he was aware of the “prejudice” about a lack of press freedom in his country but hoped the prejudice would fade away when more foreigners come to visit Kazakhstan.